Arsenal goalkeeper target Bernd Leno his having medical at Arsenal. Bernd Leno is reportedly undergoing a medical at Arsenal ahead of completing a 19.5 million pounds move to the Gunners. The Bayern Leverkusen shot-stopper has emerged as a transfer target with Unai Emery seeking to replace an ageing Petr Cech between the sticks for the forthcoming campaign. Falks further posted on Twister that the German will put pen to paper on a five- year- deal at the London club and revealed the goalie was already in London undergoing a medical as the deal has been successfully wrapped up. 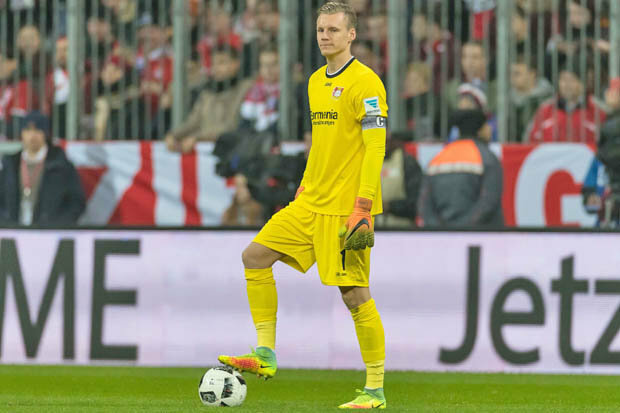 Leno arrived Leverkusen in 2011 and has performed admirably in goal for the German club. His arrival to the English club would mark Emery’s second summer signing after the arrival of Stephan Lichtsteiner on a free transfer from Juventus. Sokratis Papasthapulous is also widely expected to arrive at the club this summer with reports claiming Arsenal have agreed to a deal for the Greece International.